For me, the opportunity to sample different local cuisines is the reward for crack of dawn business flights. 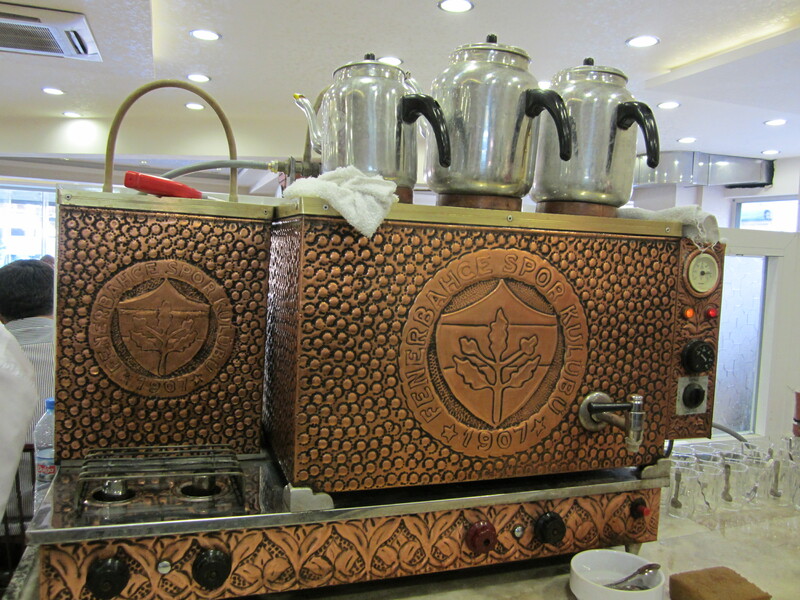 On the particular visit to Adana, I became cognizant of my hunger just as the meeting was coming to a close and all negotiations were finally settled during which I did gulp down numerous cups of strong heavenly Turkish coffee. 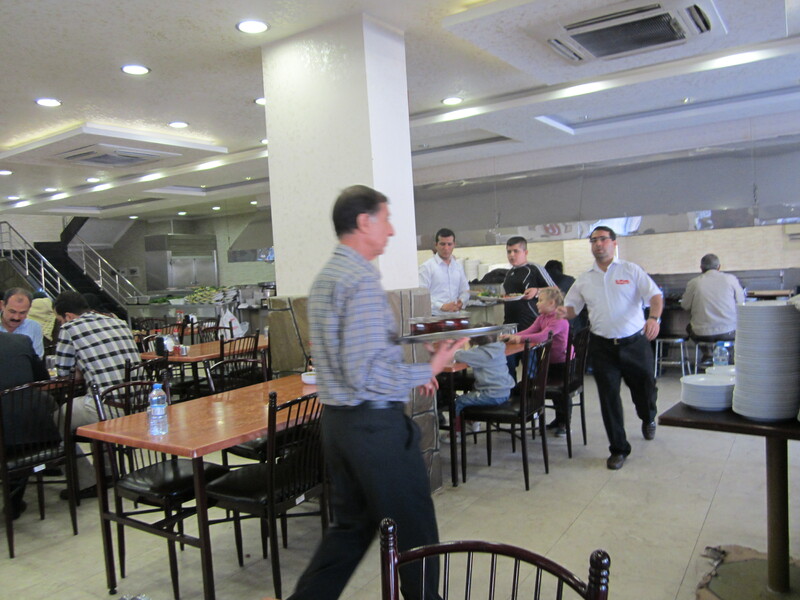 Having to work around a tight schedule it had to be a quick lunch to spare us the time to travel to Tarsus and be back in Adana for a return flight to Istanbul. Destination was Birbicer restaurant where we were treated to a superb feast in let’s say humble surroundings. Birbicer is a surprising experience. 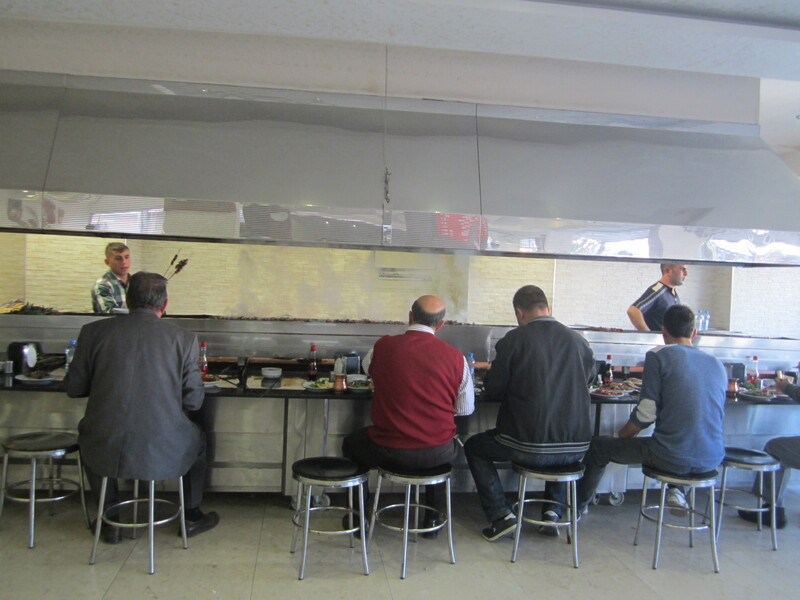 The décor, or perhaps the lack of it, is evocative of a canteen. A pleasant buzz, the metallic hue of the furniture and smooth smoke arising from the barbecue lined with short tools occupied by those in for a quite bite, is the scenery that greets you upon entering. There is that average but peaceful blue-collarish atmosphere. 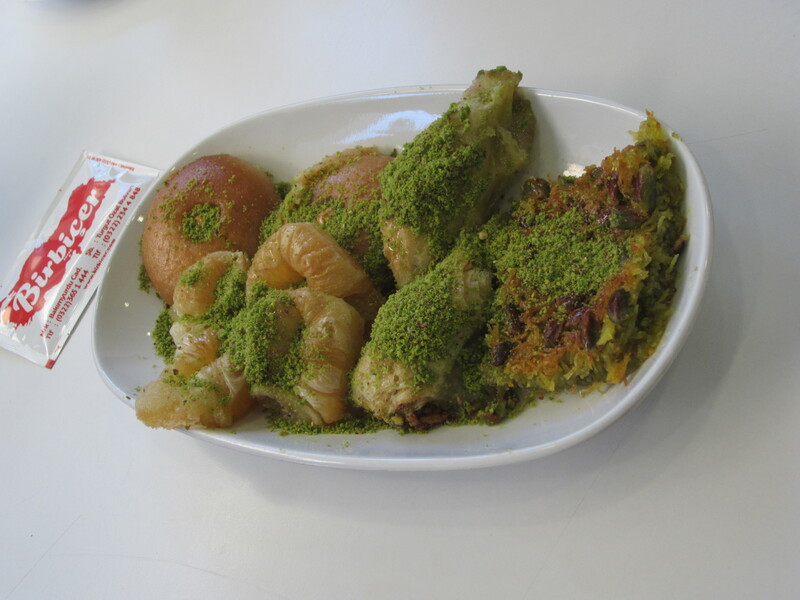 “Esnaf lokantasi” (tradesmen restaurants) is a Turkish terminology used for small local restaurants serving wholesome food reminiscent of what mama would prepare at home. 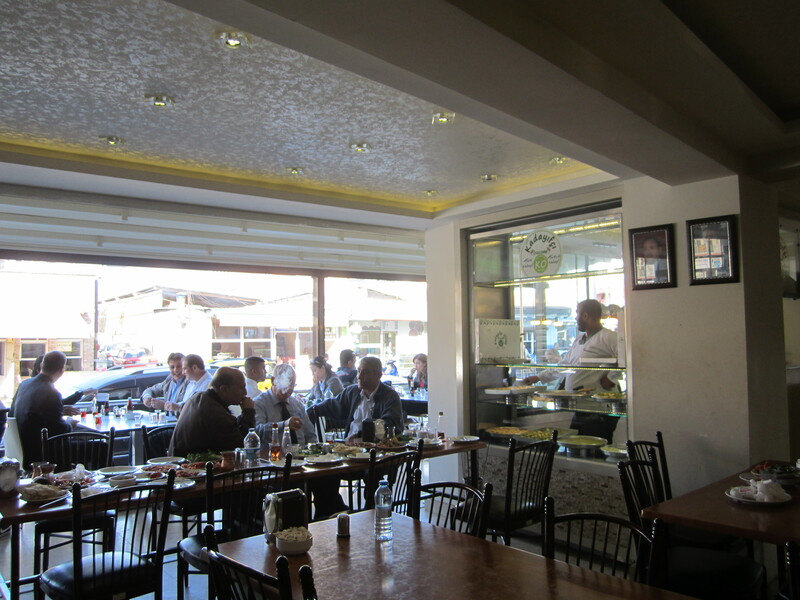 These establishments reflect family warmth with the emphasis lying on pleasing the regular customers. 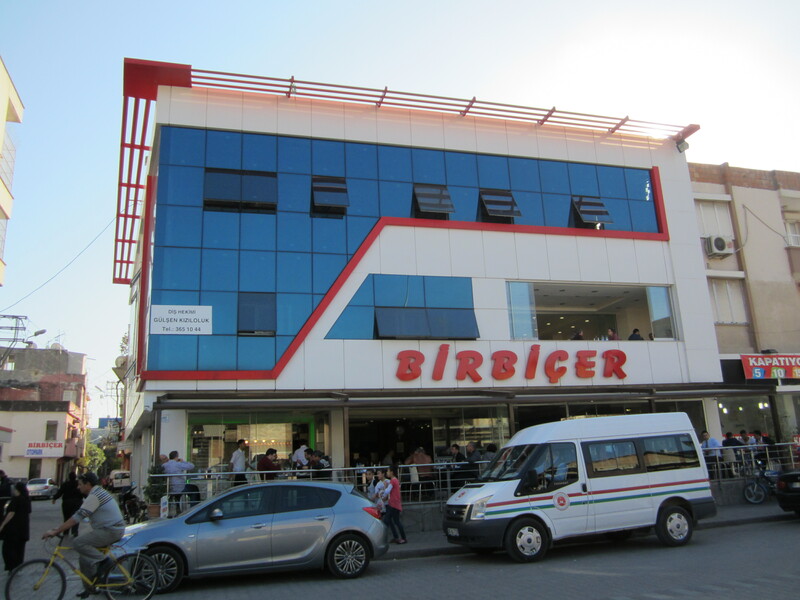 I would flag Birbicer as an “esnaf lokantası” – only on a grander scale in terms of the space the restaurant occupies. 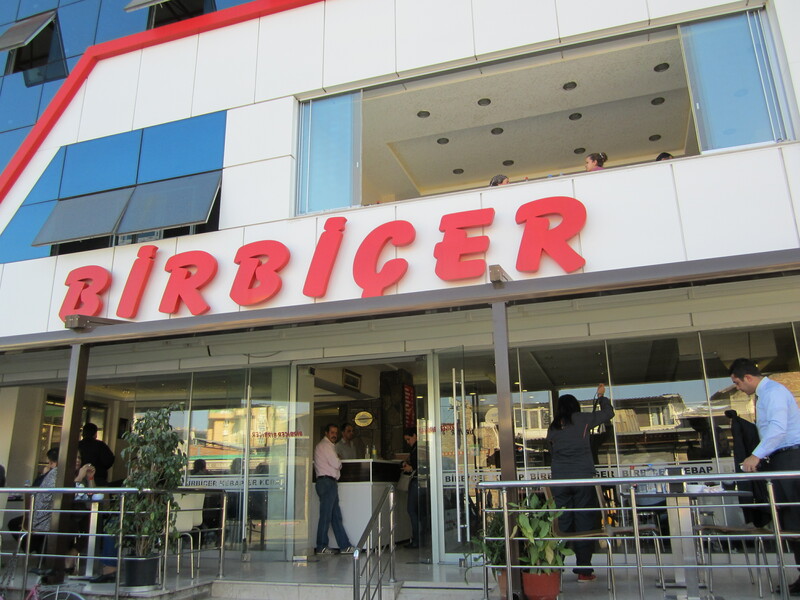 I would presume Birbicer is not a restaurant that is frequented for its ambience, but for its scrumptious traditional dishes. 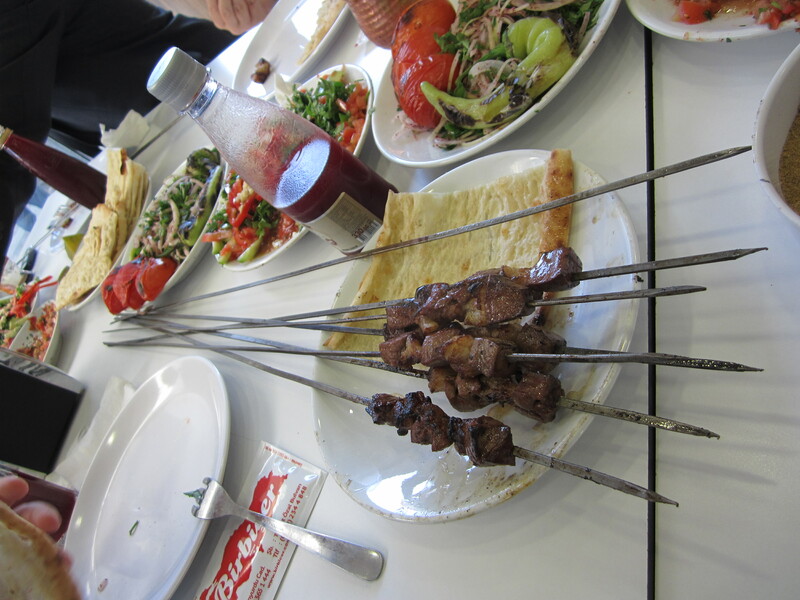 The restaurant only serves heavenly meat and chicken dishes specific to the region. Although not much is to be expected from the atmosphere nor the diversity of the menu, the taste and the service are both superb. Lavash (thin, flatbread used to wrap the meat) and the four different types of salads prepared from the freshest ingredients all spiced up with onion, garlic and various sauces – are part of the basic staple menu, arriving upon being seated. The waiter merely takes orders for the preferred meat – chicken, meat or liver. I understand that barbecued liver is one of their specialties, so that was not to be omitted from our order which I am glad was not. 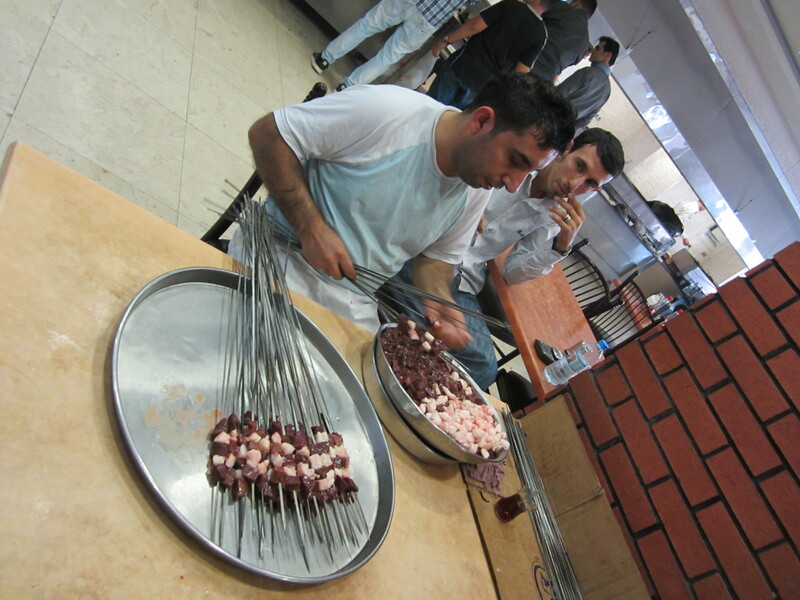 Our menu consisted of liver on skewer, shish kebab (tender pieces of cubed beef also on skewers) and Adana kebab which is the traditional local dish prepared from spicy minced meat also molded around a skewer and grilled. 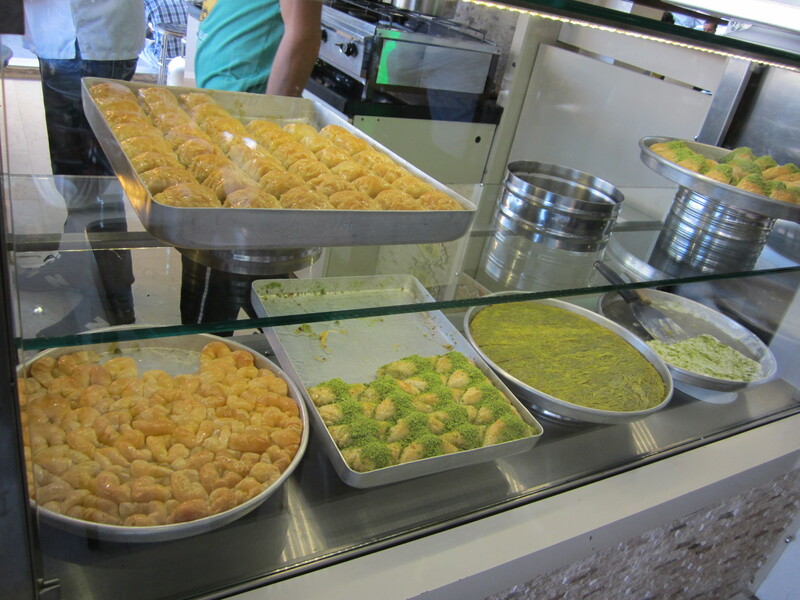 We ordered everything to be shared which was just as well – I think I ended up devouring my colleagues’ servings. 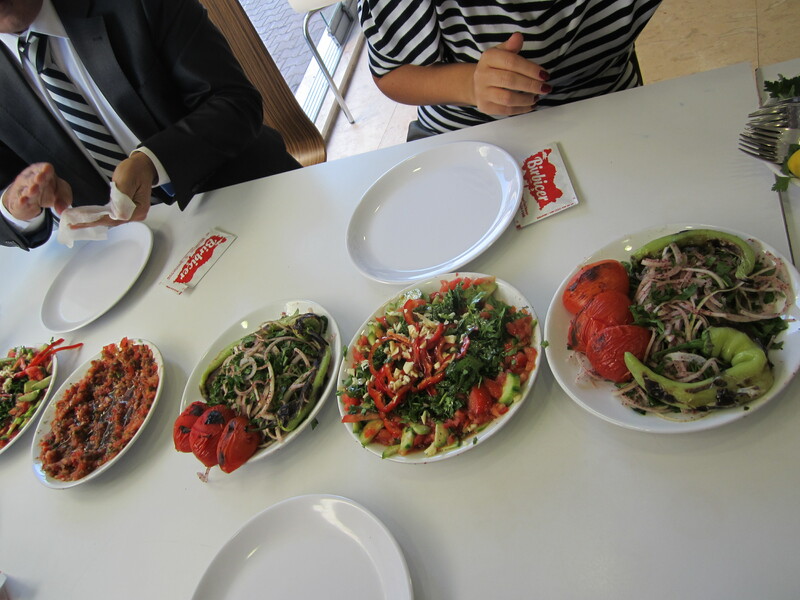 The meat was very tender and succulent and the various salads were perfect companions to the main dishes. 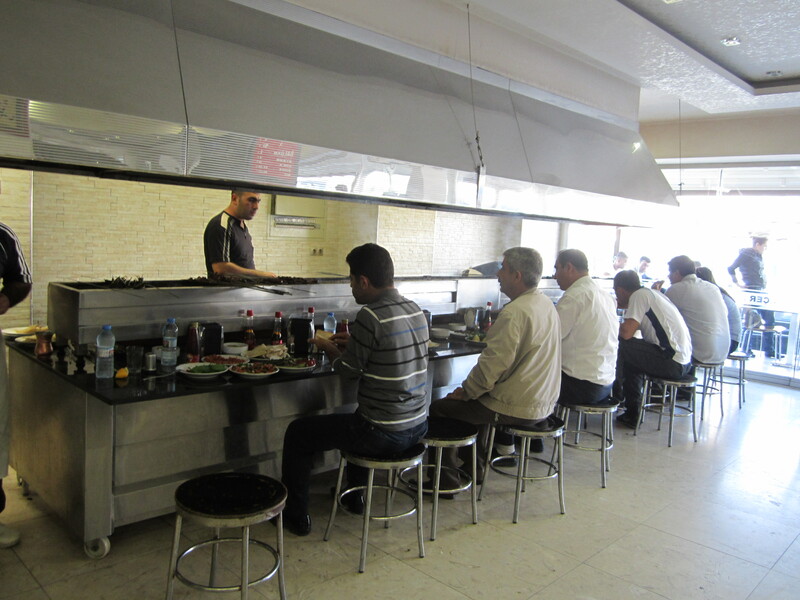 The orders are served in small portions, replenished frequently so that the meat can be enjoyed steaming hot from the grill. Incredibly enough, even the food was fairly heavy, it does not leave one with a bloated feeling. 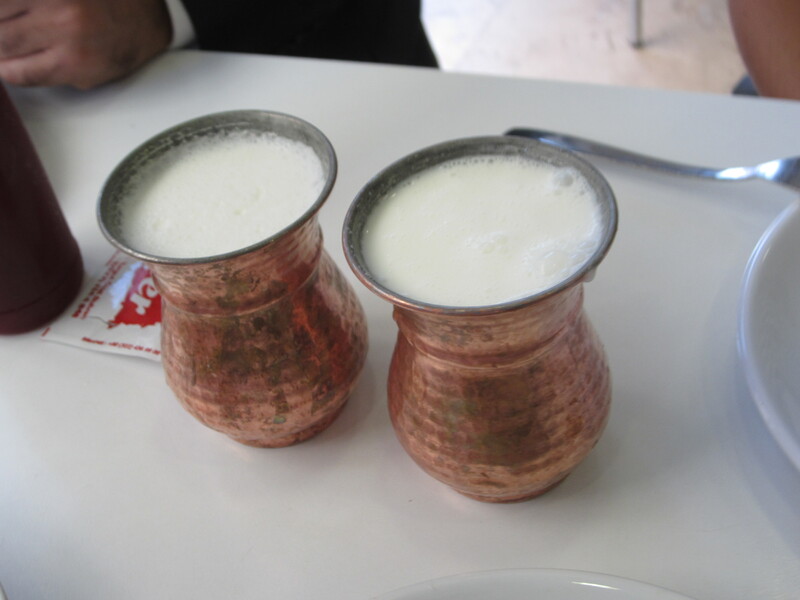 Being a fan, I ordered ‘ayran’ (watered down yoghurt) to drink which was served in authentic copper cups. 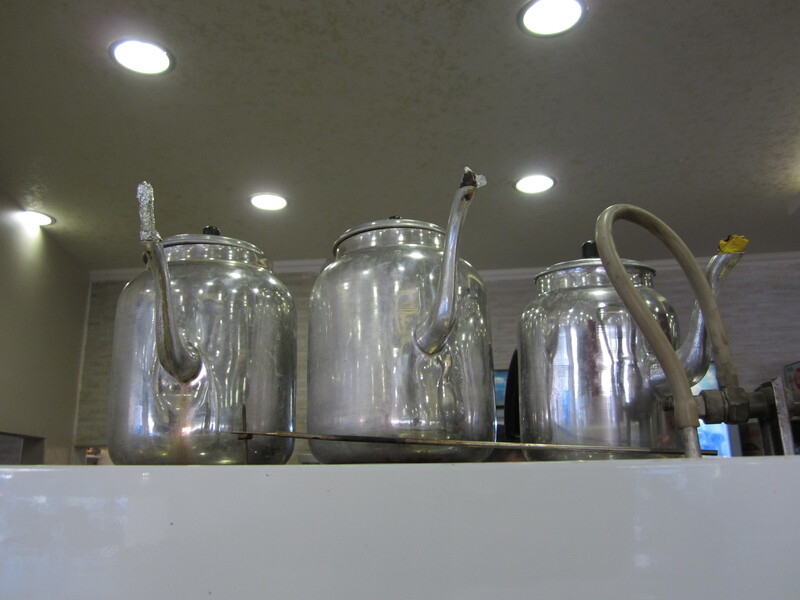 Some of my friends ordered şalgam which is a popular beverage in Southern Turkey often served with the alcoholic drink raki. It is basically red carrot pickle juice, salted, spiced, and flavoured with aromatic turnip (çelem) fermented in barrels. 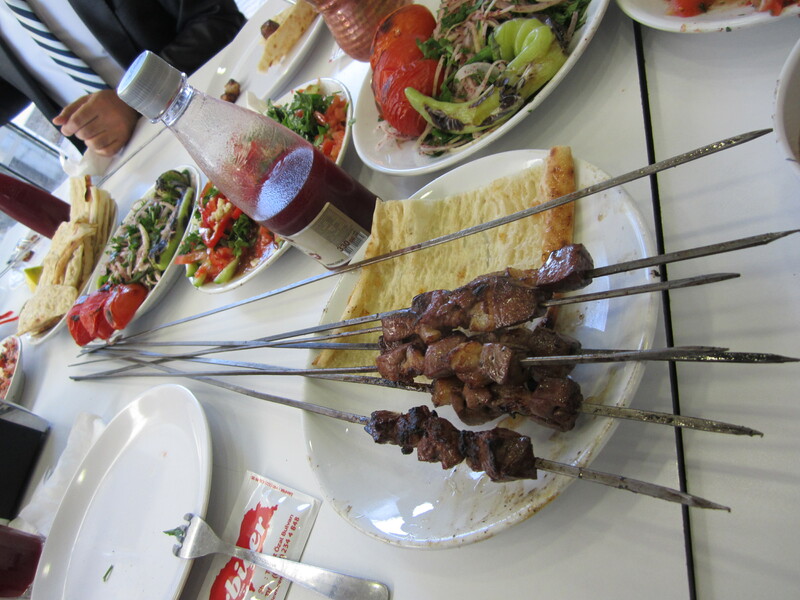 Hot or regular, it is a popular drink with Adana kebab. The service attendants were forever hovering but not annoying. Watching them was a head-spinner. 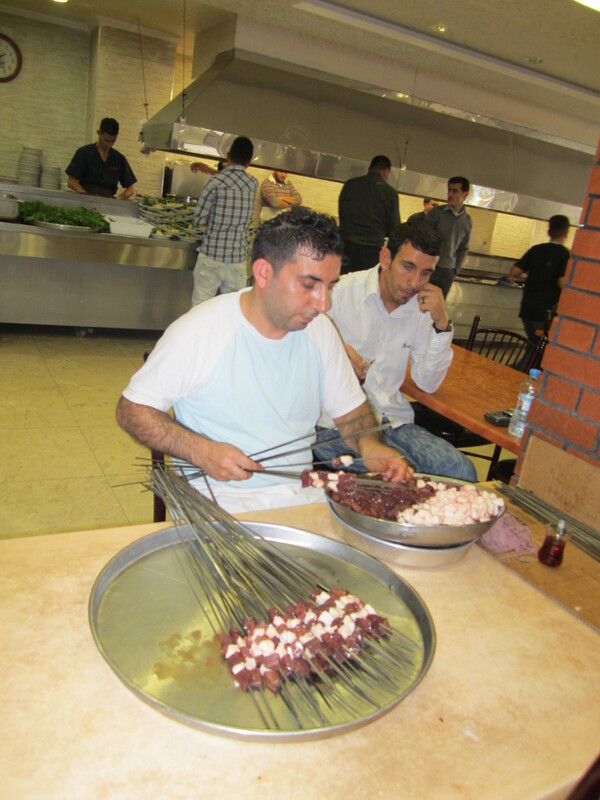 It was fascinating to watch the cooks preparing the chopped liver on skewers –the swift move of the hands embedding the liver into skewers almost gave me the sense of watching one of those silent movies – swift motion but mum. In the end I was too full for desert, as I had devoured more than my share, which I am told was divine. Delicious Turkish tea traditionally brewed to perfection to complement the rich deserts and aid with digestion is compliments of the house. 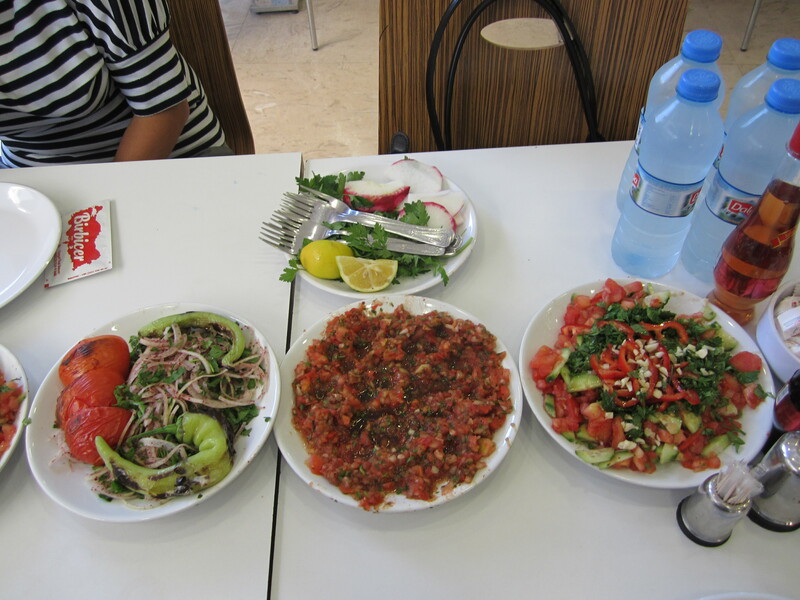 Adana may not be a tourists’ mecca but it is kebab, şalgam , cotton and watermelon haven. 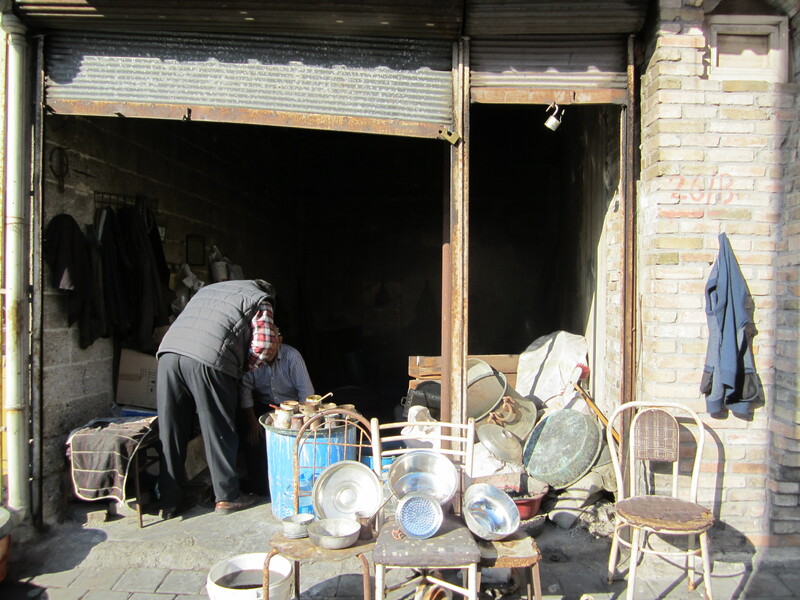 In reality the only memorable spot in the surrounding area where the restaurant is located is the elderly gentlemen selling bric-a-brac and copper pots in a tiny little no-frills shop across from the restaurant. Looking back, I wish I had bought something little from him to contribute to his finances. 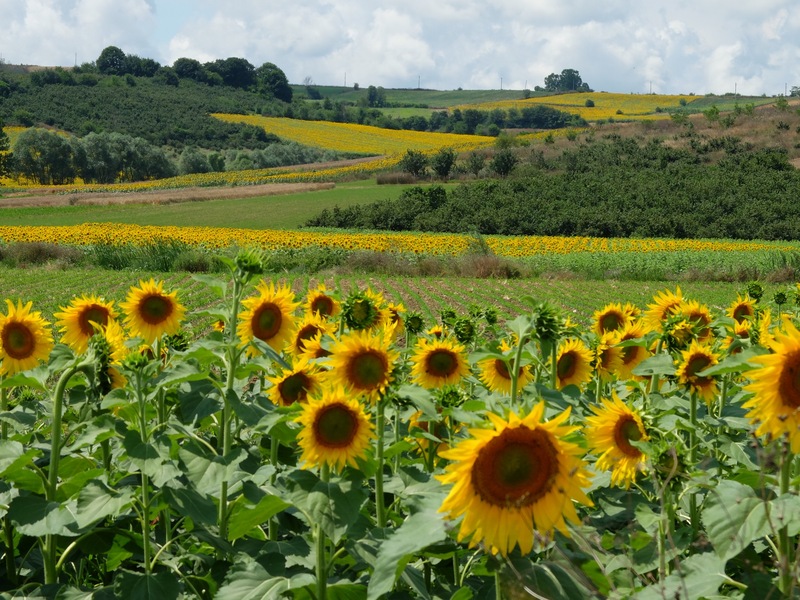 Although there is not much to experience in the area, I would definitely recommend making the trip for the delicious food and the very authentic local experience. I ended up leaving the restaurant very gratified. 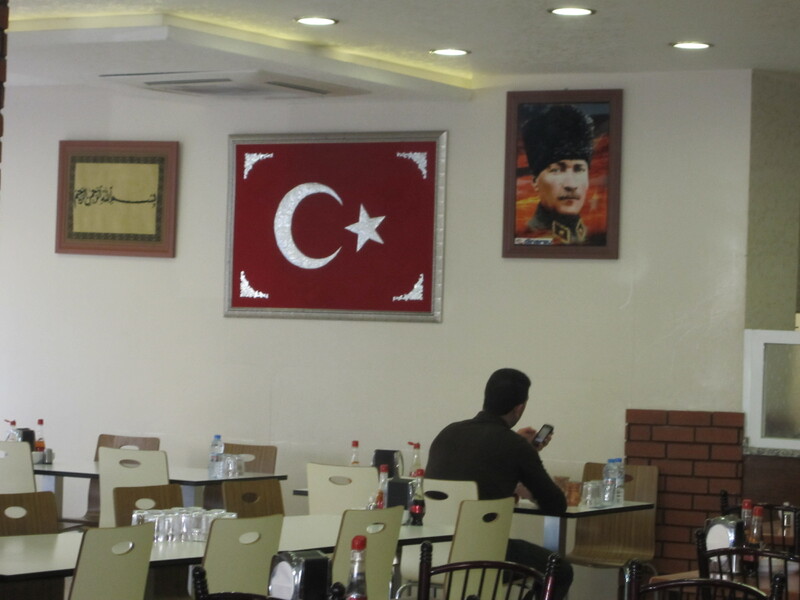 The owner was very proud of his Atatürk posters, our grand leader, and observing my devotion to taking photos, was very particular to point them out. 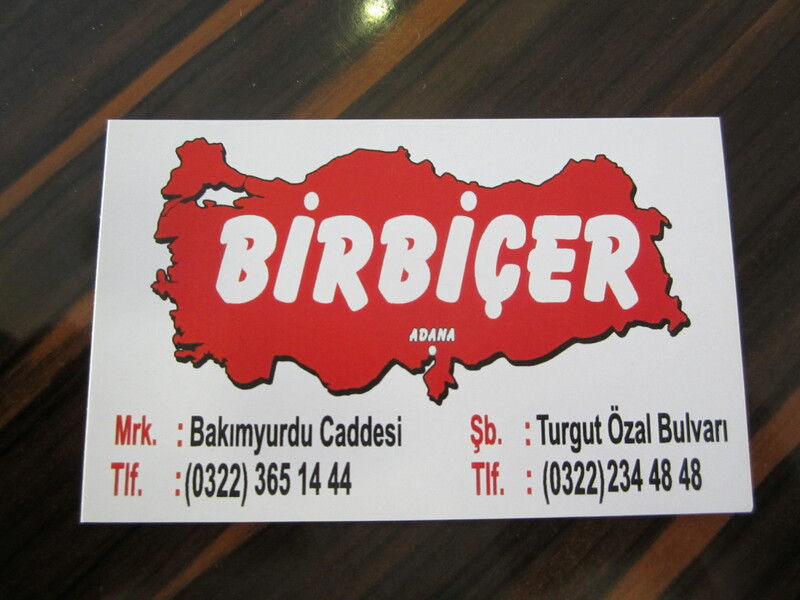 There are two branches, both in Adana.